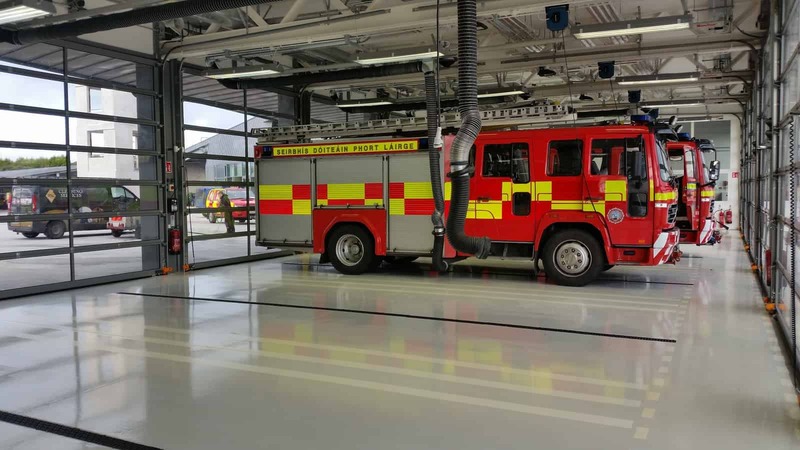 Waterford City Fire Station – Duggan Brothers Ltd. 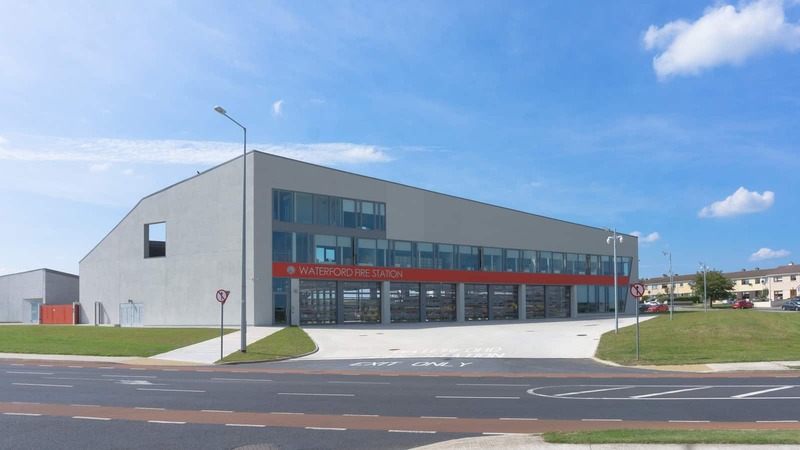 This Project involved the Construction of a Fire Service Head Quarters building and ancillary functions at the junction of Kilbarry Road and Ballybeg drive, Waterford. The building is 3 storeys high on eastern and part southern elevation sloping to two storeys high along the northeastern boundary, and sloping to single storey high along western boundary and part of the southern boundary. 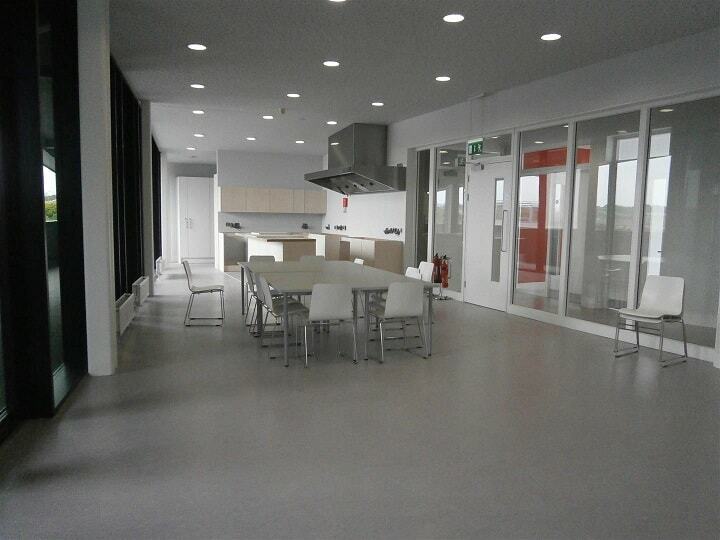 The building encloses a drill yard and training area and is approximately 2,200 sq.m gross internal floor area. 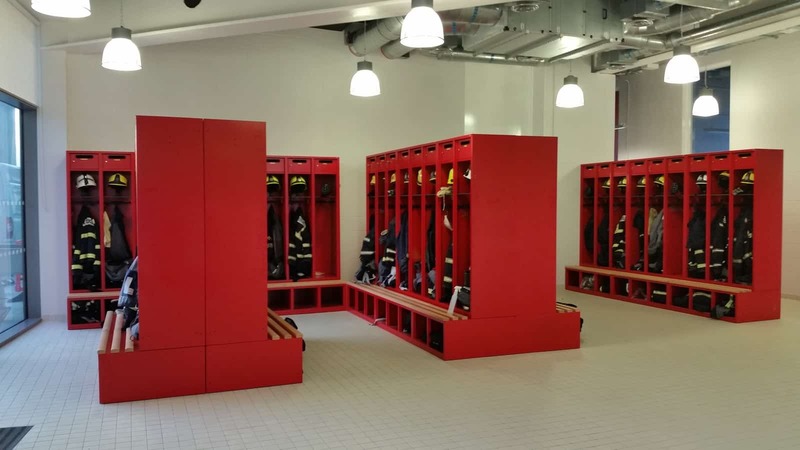 The building will house 10 fire appliance bays, watch room, muster bays, training rooms, dormitories, offices, canteen, and recreational rooms, lecture theatre, drill tower, external training areas, underground pipe for confined space training. 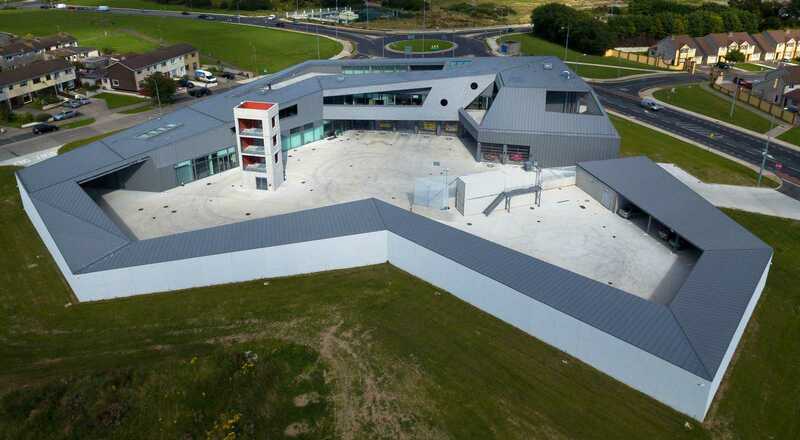 The building encloses staff car parking and Civil defence vehicle spaces with visitor car parking spaces on Ballybeg drive and Kilbarry road. A community Garda facility and CCTV monitoring station are provided on Ballybeg drive. The project also included landscaping on road frontages. 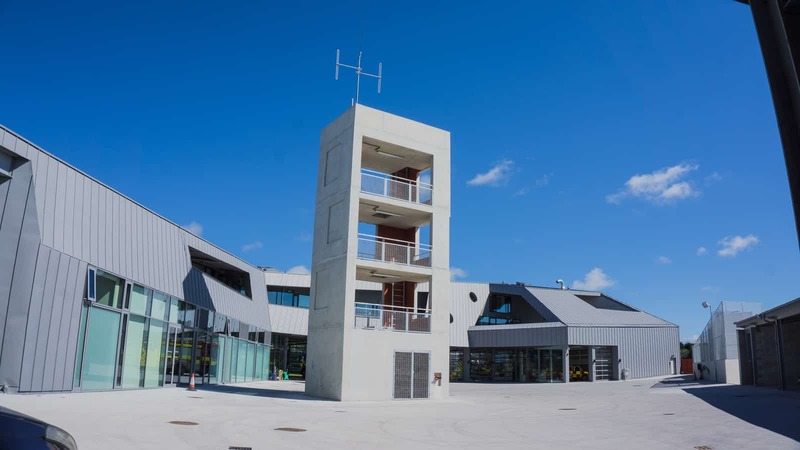 The project includes unique training areas including the drill tower with rising main and opes for rescue, a 9000 litre tank, underground pipe to be used for confined space training and external training areas. 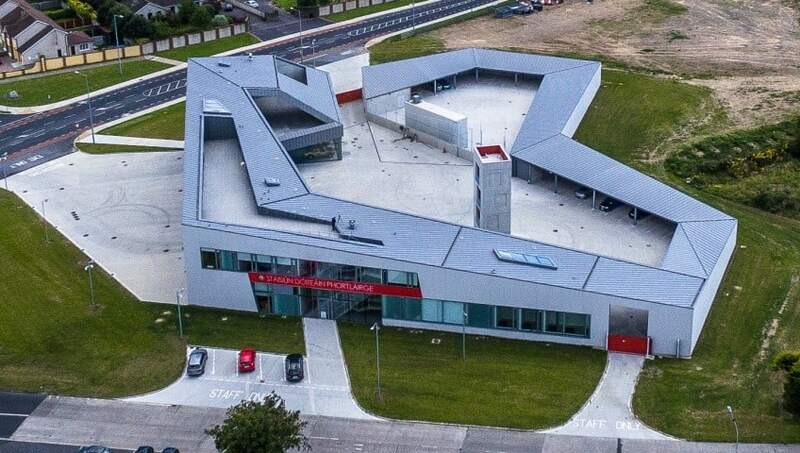 The Architecturally Challenging building encloses space and makes an artificial landscape. Office and ancillary functions are housed in zinc volume, folded around like a piece of origami to enclose a large the drill yard; the roof is extended and angled to suit operational dimensions. 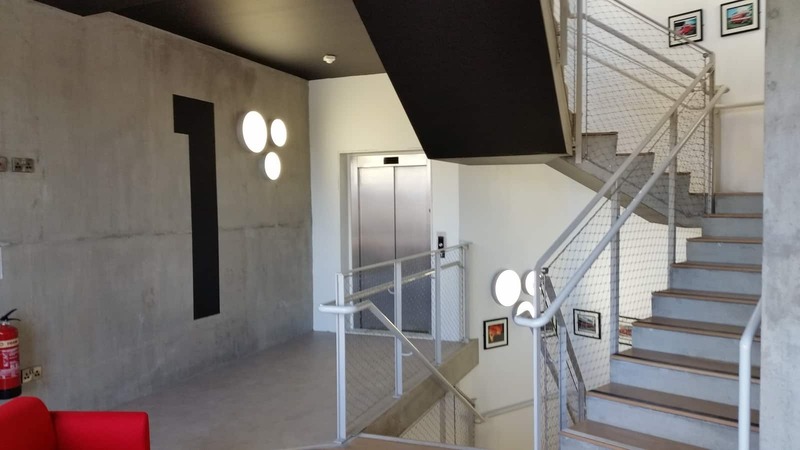 Zinc is cut away at ground level to give views of the appliances behind their glazed bay doors, addressing the ring road and giving definition to an essential piece of public infrastructure. The main structure of the building is in-situ concrete, Pre-cast units, Structural Steel and Blockwork.